Halo and Call of Duty are often held up as the twin peaks of online first-person-shooters. 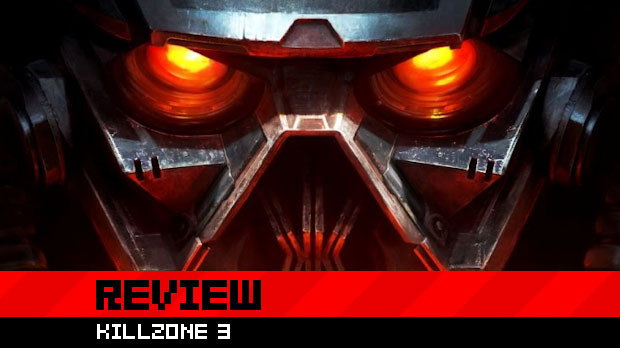 Meanwhile Killzone is regularly overlooked or outright disregarded, and that's a remarkable shame, since Guerrilla's efforts with Killzone 2 led to perhaps one of the most vivid and powerful shooters on the market. 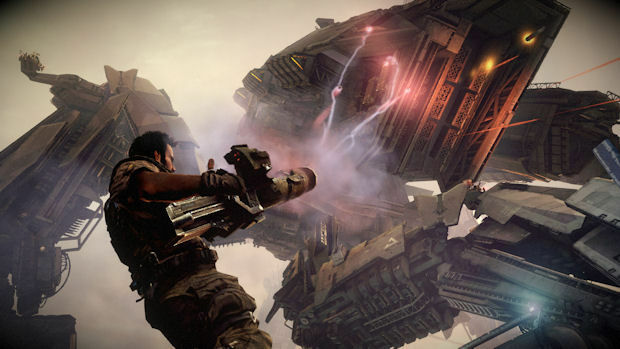 Guerrilla has returned with Killzone 3, and another shot at competing with the top dogs. Halo and Call of Duty may remain at the peak, but in this humble reviewer's opinion, they need to start carving a sizable hole in the top of that mountain. Killzone 3 picks up six months after Killzone 2. 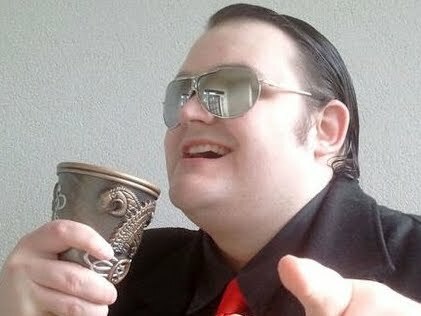 Scolar Visari is dead, murdered by that idiot Rico, and the Helghan fleet is beating the tar out of the ISA. The Helghast, however, are not in complete control, as two rival leaders -- Admiral Orlock and Chairman Stahl -- bicker for control of the military in front of an ineffectual, leaderless government. Although the plot is typically light, the characterization and style of exposition have increased tenfold since Killzone 2. We get our first look at the Helghast senate -- a bitter group of twisted old men who resemble The Dark Crystal's Skeksis in many ways -- and the utterly brilliant Jorhan Stahl, who has quickly become one of my favorite characters of all time thanks in no small part to the wonderful performance put forth by Malcolm McDowell. The ISA, as always, are notably less likable than the "villains" of the piece, but they are at least more bearable this time. Even Rico -- the franchise's perpetual "Scrappy Doo" -- has been grounded somewhat and manages to avoid grating on the nerves quite so much. Our main protagonist, Tomas 'Sev' Sevchenko, still lacks personality but has been given more to say and do, and is easier to sympathize with than last time. Although there's still no reason to not root for the Helghast, Killzone 3's story is an enjoyable roller coaster ride that's worth getting into just for the enthralling rivalry between Stahl and Orlock. The gameplay hasn't changed much since 2008, but it didn't really need to. Killzone 3 is perhaps the most intense shooter on the market, with an emphasis on stressful firefights that piled on the pressure without apology. From beginning to end, the player is literally harassed by an aggressive, brutal Helghast assault. Even during the game's one and only stealth mission, the adrenaline is kept at dangerously high levels, with a pure, distilled, utterly dedicated focus on action, action, action. There are moments when the game seems more cheap than challenging, with Helghast soldiers hidden around corners and clairvoyantly prepared to cut you up as soon as you appear in view, or infuriating vehicle sections in which you have no ability to avoid damage or take cover. This "ambush" approach to game difficulty was prevalent in Killzone 2 and, while it has eased up a little in this game, there are still moments where you'll randomly fall down dead and you won't even know why or where the bullets were coming from. For the most part, however, Killzone 3 rewards your perseverance with a gritty, heavy, consistently chaotic campaign, full of varied locations, high octane setpieces, and some of the biggest, toughest boss challenges you'll find in a first-person-shooter. The game feels a lot faster than Killzone 2, with Guerrilla tightening up the controls to make them more responsive, and adding features like a cover-sliding ability in order to make for a more fluid and versatile experience. While much of the input lag from the last game has been removed, this has not been done at the expense of the franchise's signature "weighty" feel. Sevchenko will sprint faster and aim quicker, but he'll still feel like he has a presence in the game world, and isn't just some floating, disembodied specter with a gun. Killzone 3 is still one of the only games around with a true sense of heft and realism, simply presented in a faster, more receptive way. The cover-based meat of the game is peppered with a surprising amount of variety, as Guerrilla takes you on a tour of Helghan. From snowy mountains to deep jungles, the environments of Killzone 3 constantly change, and bring a huge amount of color to the experience. Anybody who complained that the Killzone 2 was just a mess of brown and grey ought to be satisfied by the predominantly green and red palette that Guerrilla has provided in this fresh installment. The jungle level alone should put paid to the belief that Killzone only comes in drab flavors. Accompanying the level variety is a tasty collection of new toys to play with. Chief among them would be the Jetpack, which is an incredible amount of fun to use. Armed with its own machine gun and changing the animation and visuals to make one feel like they're incased in a death-dealing machine, the jetpack is pure satisfaction to use. 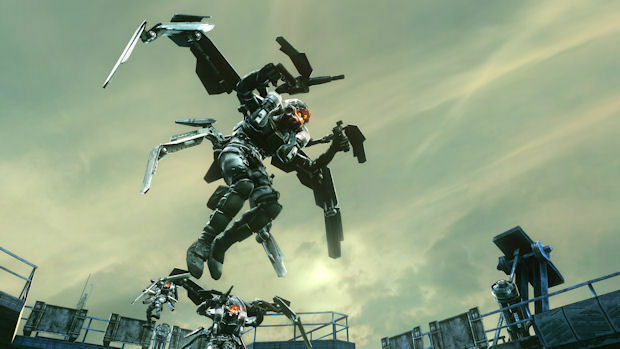 Leaping around a map dispensing bullets like candy is a simple joy, and one that has been captured perfectly in Killzone 3. Of course, leaping high in the air makes you an expose target, so boosting and regularly hiding from enemy fire is crucial. My only complaint about the Jetpack is that you just don't get to use it enough. There are one or two new weapons, but I won't spoil the surprise (it's worth waiting for). Most of the arsenal consists of returning weaponry, but most of them have been tweaked for efficiency, most notably with the addition of sights to guns that had previously lacked them. The single-player campaign has its issues, most notable with the cheap "ambush" moments and some random mid-level loading that occasionally threatens the immersion of the experience, but on the whole, Killzone 3 provides a superior offering than 2008. A better story, richer characters, quicker gameplay, more variety and fun gadgets conspire to create a rewarding experience that's worth playing through more than once, just for fun. I've already beaten the game twice on two different difficulty levels prior to this review, and I intend to attempt the brutally punishing Elite in the near future as well. If you find the game is too tough to handle, you could always bring a friend with you. For the first time in the series, Killzone 3 brings both online and split-screen co-op to the table. Co-op players simply step into the shoes of a secondary character and accompany the host around, shooting at whatever he's shooting. It's not exactly the most involved and details co-op experience, but it's a nice little extra. The star of the show, however, is the competitive multiplayer. Killzone 2's online mode was one of the best I've ever experienced, but I had a few problems with its balance and depth. These problems have all been fixed, leading to what I confidently believe is one of the most refined, polished and perfected online multiplayer games in the business. The core of the gameplay remains the same. There are three modes, a straight team deathmatch known as Warzone, a random mixture of game types known as Guerrilla Warfare, and Operations, a game in which one team attacks and another defends, attempting to secure objectives with cutscenes detailing the player's exploits. Operations is a rather fun and engrossing mode, even if it is balanced in favor of the defenders, and Warzone is the kind of chaos you'd expect. Guerrilla Warfare, however, is still the best of the bunch, with constantly changing objectives that range from assassinations to capture-the-flag to bomb planting and more. The balanced mix of game types makes for a game that always feels unique and varied, and never gets dull. This is helped by the range of maps, that not only bring aesthetic differences, but all carry their own themes. On one map, for example, players can pilot walking mechs or jetpacks. On another, you can grab a special dial that allows you to call in airstrikes on enemy positions. Each map feels like its own special entity, and brings with it its own set of perils and advantages. The most compelling feature of Killzone 3 is the new way in which character classes are handled. Most of the careers from Killzone 2 appear, although the Assault class has been retired and players can no longer create their own characters from basic Infantry. Each career has been improved with new abilities, skills and weapons, and surprisingly, each one feels incredibly effective. The sense of balance in this game is astounding, as is the way in which different types of shooter fans are catered for. Even the more selfless classes, like the Tactician and Medic, are capable of racking up huge amounts of XP if they utilize their skills efficiently, and the most combat-oriented careers, such as Engineer or Marksman, have the perfect set of abilities to help them decimate the opposition. New to the franchise is the use of Skill Points. Rather than unlock everything on a set, linear path, XP is now used to collect points that can be spent on any class at any time. When you level up, you're given a new Skill Point which you can use on unlocking weaponry or skills for your chosen career. You can also unlock anything you like, although certain abilities and weapons require previous ones to have been unlocked. You can also sink your points into multiple classes, or just focus on one to maximize their efficiency more quickly. In addition, you also unlock universal skills automatically as you progress, such as extra health or proximity mines, for a little extra customization. It's not the deepest character personalization in the world, but it doesn't intend to be. It simply gives you the freedom to jump into your favorite career and enjoy yourself instantaneously, rather than plug away with characters you may not necessarily like. The extra freedom with weapons (classes now have several to choose from) allows you to find as personal a combat style as you need. There's enough freedom for you to play any character comfortably, and enough restriction to keep each one unique. It's a damn near perfect balance. Both single-player and multiplayer boast functionality with the PlayStation Move controller, and personally, this interface is not for me. While aiming is more precise and it's easier to take out opponents in cover, everything else, from movement to weapon changing, feels more cumbersome and awkward using the rather inefficiently designed Move buttons. It also requires numerous fiddling with the aim sensitivity, as the aiming controls behave differently depending on whether you're in a vehicle or on foot. While I imagine some players will enjoy the extra precision of the Move and ignore everything else, I feel that most will prefer to stick with the original, convenient, better, method of input. A Killzone title needs lavish production values, and Killzone 3 pushes the envelope in this department. Despite the strange lip sync issues, where mouth movements can sometimes be distractingly off-balance, the majority of the animation is simply amazing. Cutscenes have been motion-captured to an impeccable degree, and the in-game combat, with its destructible environments and new "brutal melee" attacks, only serve to make the game a complete visual treat. It never stops being amusing to push your thumbs into a Helghast's eye-goggles and seeing/hearing the glass crack on impact. As far as sound goes, I have already praised Malcolm McDowell, but the rest of the cast holds up its end of the bargain as well. There's also an inspiring musical score on hand, and the typically meaty sound effects we've come to expect. I am still disappointed that the multiplayer's audio still feels somewhat sterile, as I'd like to hear more than grunts and groans coming from the characters, but it's a small complaint. Killzone 3 is as close to perfect as online shooters get, and I do not say that lightly. The single-player could still use a little bit of work, but its faults pale in comparison to the amount of entertainment that the multiplayer provides, not to mention that the story mode itself really provides some greatness when it needs to. I don't think the PlayStation 3 has ever had quite such a rounded, satisfactory package as this, with this level of polish, refinement and pure, simple, unpretentious action. Killzone 3 is the shooter to beat.